Wow, what a week! 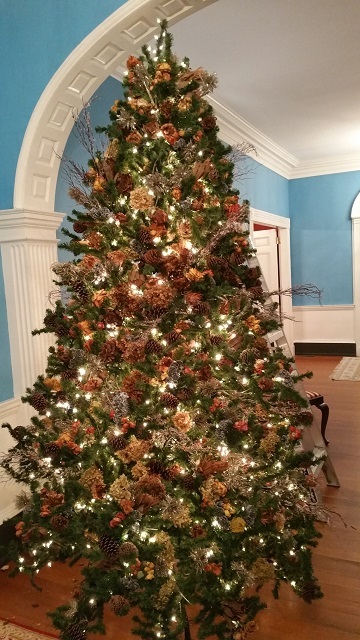 Just coming off Thanksgiving, followed by a week of decorating Belle Grove Plantation’s mansion and grounds and ending with our Annual Holiday Tea, I have to say, I haven’t been this tired in a long time! 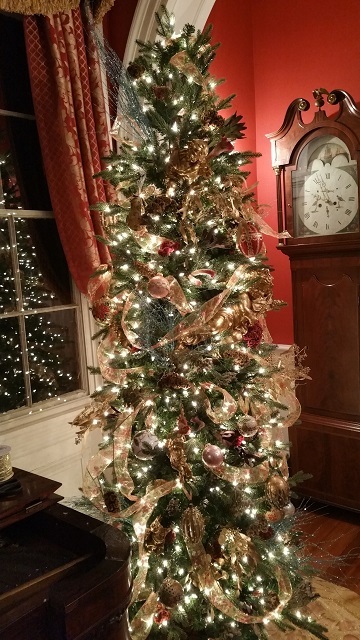 But as tired as I am, I look around the mansion and grounds at the Christmas decorations and think to myself … this was worth it. 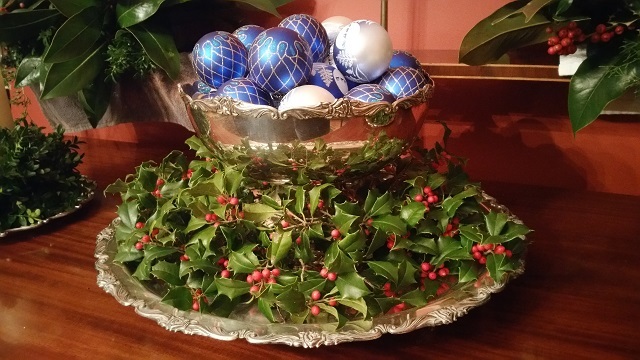 Christmas decorating at Belle Grove Plantation is no easy task. Last year, Clare DeSantis, Tammy Anderson and I tackled it alone. So this year, I reached out for more help. And boy did we hit the jackpot with those who came to volunteer! First to join Tammy and I this year was Jean Rodino. 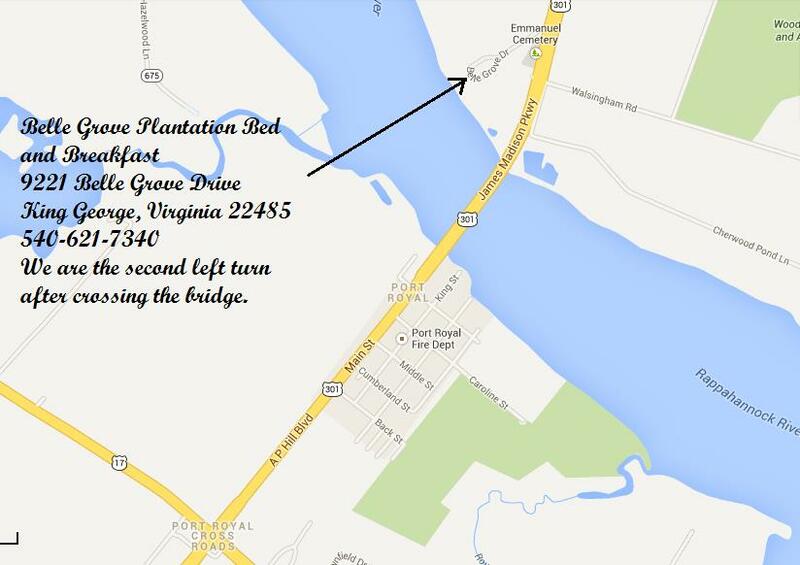 We have known Jean for about a year through her floral work at Belle Grove Plantation’s weddings. Her business, The Floral Paltette, has done many weddings and showcases over the last year with us. 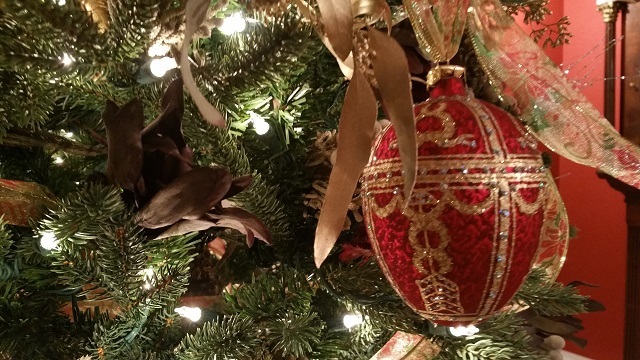 Knowing her work, I was more than excited to have her come on as head designer for the Christmas decorations. We were then joined by the other “Ladies of Belle Grove”, Kathleen Mangold (a mother of the bride from this year’s weddings), Paula Wilson and Cindy Frith (loyal followers of Belle Grove) and Lynn Mitchell (Mrs. Peacock from our “Get a Clue” Murder Mystery). Each of these ladies gave us 110% of their time and efforts and helped us pull off the most beautiful mansion decorations I have ever seen! Thank you Ladies from the bottom of our hearts! The week didn’t start out as planned. Mother Nature decided to rain on our parade. Monday was the day Tammy and I were going to start cutting and collecting our greenery. So instead, we decided to wait until Tuesday. So I took advantage of the free day and hit the stores for need items to complete our decorating. We had decided to add a second tree so I needed things to fill it. 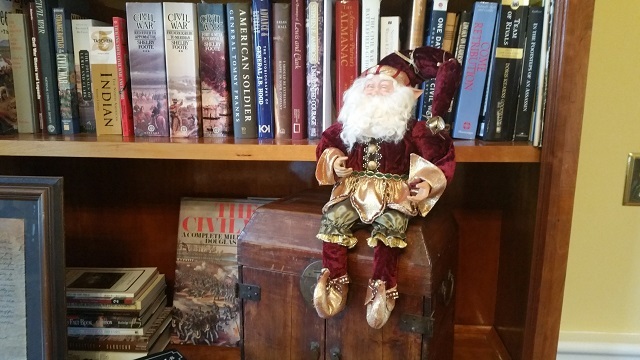 I hit the new Port Royal Trading Post first and found some beautiful ornaments and four fresh cut pine and boxwood wreaths. Then I headed to Unique Antiques Mall for even more ornaments. 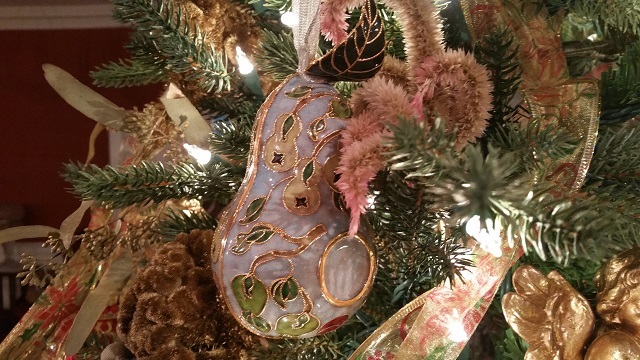 I found in both locations these beautiful enamel ornaments and got them at such a great price that I am ashamed to say I “stole” them. 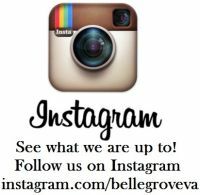 The best part of this shopping trip is that these two locations and Belle Grove are teaming up this December! If you shop at either location in the month of December, save your receipt! 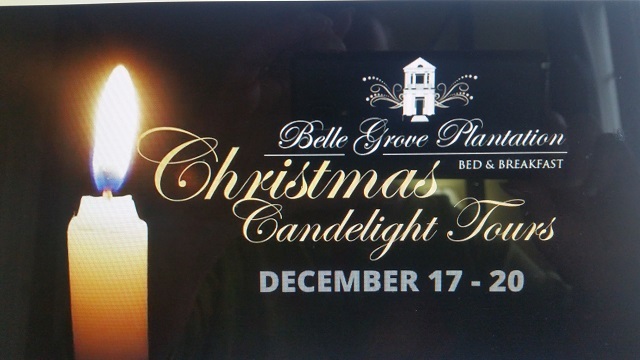 Bring that receipt when you come to tour Belle Grove’s December Christmas tour and Candlelight tours and we will donate $2 for each ticket in your part to go to Cops4Kids in either Caroline or King George County! So Tuesday rolls around and Mother Nature is still not helping. But we can’t really afford to wait. 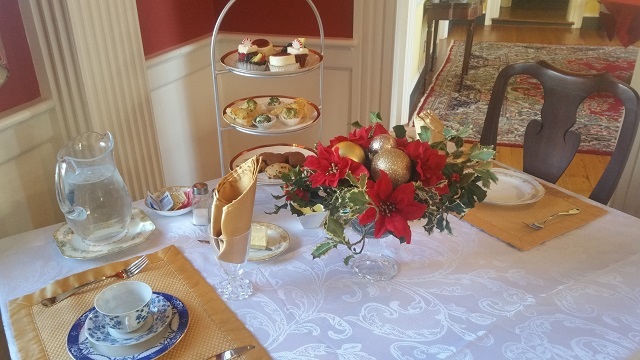 We had our Annual Holiday Tea on Saturday and the decorations needed to be done before. 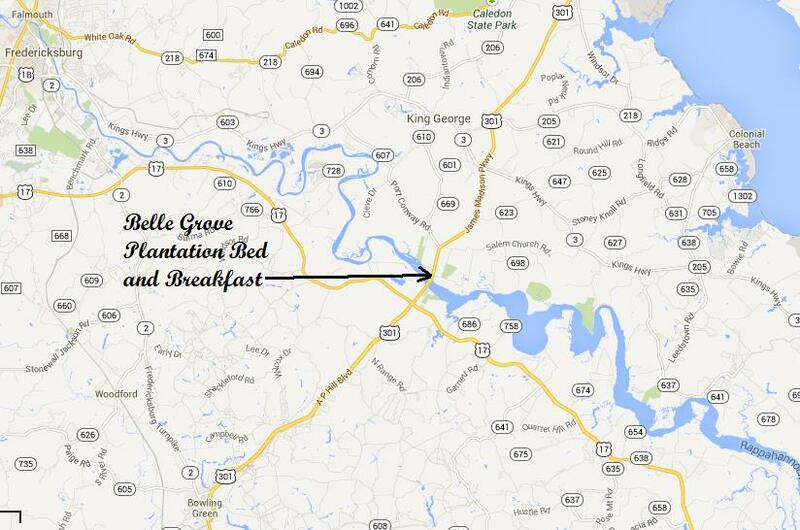 So the “Ladies of Belle Grove” arrived and we formulated our plan. By afternoon, the weather broke (just a little) and we headed over to Oaken Brow Plantation to collect the greenery. Oaken Brow Plantation is just three plantations down river from us and is owned by the sweetest couple you could ever meet. Mr. and Mrs. Bowen have been friends with us since we arrived. Mrs. Bowen is a fellow South Carolinian and keeps me on my toes with my true Southern manners. They have allowed us to come and cut greenery for two years now and we can’t begin to say how much we appreciate it. So off Tammy and I went, rain, cold and mist, we were going to get the job done. After showing her around, we split up and gather different kinds of greenery. Tammy got the holly, both solid green and green and white holly. Best part is that they are full of red berries! I got the boxwoods, hanging pine and magnolia leaves. The boxwoods at Oaken Brow have to be at least 100 years old! They are huge and full. And some of the inside has open up to create little hide aways. Every thing was moving along well, even though our shoes was starting to get water logged. I moved to the final cutting, the magnolia leaves. When it was time to move, I realized that I was stuck. Not in my car, but Brett’s truck! No matter how I tried, the back wheels just kept spinning. So I went to let Tammy know that I wasn’t going any where. We started looking around for anything to stick under the wheels to give them some traction. The only thing we could find was hay. So we jammed it up under and tried again. Still no where. So I called a friend that works on our car and truck to see if he could help us. Lucky for me, he said he could. So while Tammy and I waited, we cut more greenery. My friend arrived and got me out. Whew …. 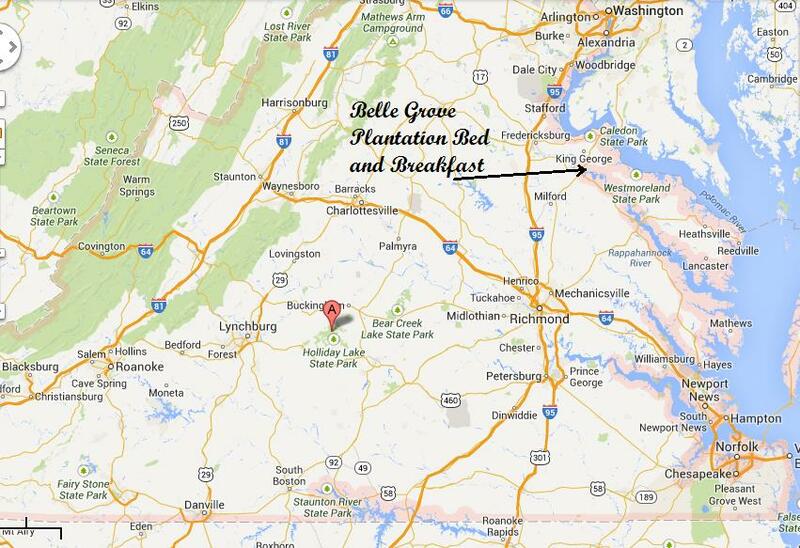 So the next three days, the “Ladies of Belle Grove” poured their heart and souls into getting the mansion completed. Fresh cut greenery lining the staircase and railing outside. Two beautifully decorated Christmas trees, so full I don’t see how they are supporting the weight. So many floral arrangements with fresh cut greenery, I can’t even count them. Each room is perfect. Each room is unique. Each room shows the love and care the “Ladies of Belle Grove” took with making our Christmas decorations more than I could have every hoped for! We finished up at 5pm on Friday, just in time to welcome our overnight guests. 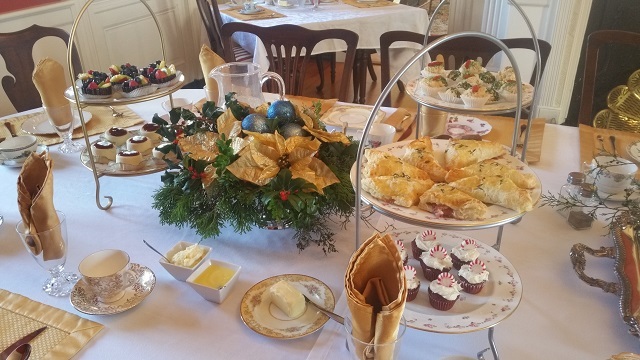 To get the season off right, we had our Annual Holiday Tea on Saturday. 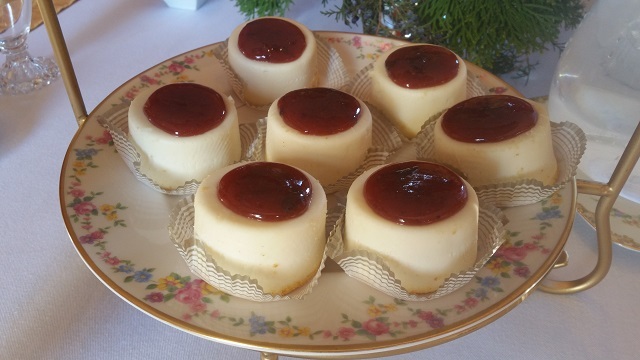 Ladies from near and far arrived at 1pm to not only enjoy a wonderful Christmas Afternoon Tea, but were the first to view the love and work that went into making our Christmas decorations so special. Our menu this year was centered on Christmas. 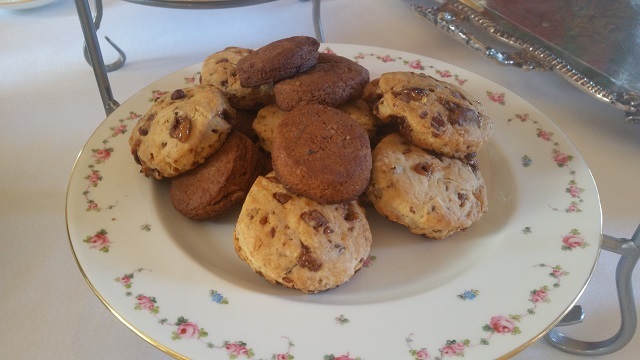 Our scones were Gingerbread and Chocolate Toffee with Pecans. 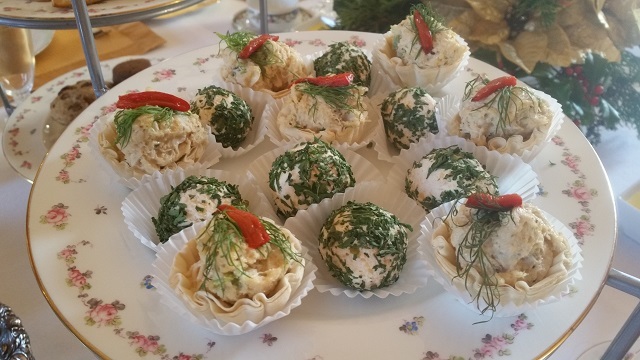 Our three tea sandwiches were Turkey and Cranberry Puffs, Mouse King Cheese Balls and Crab Salad in phyllo cups. 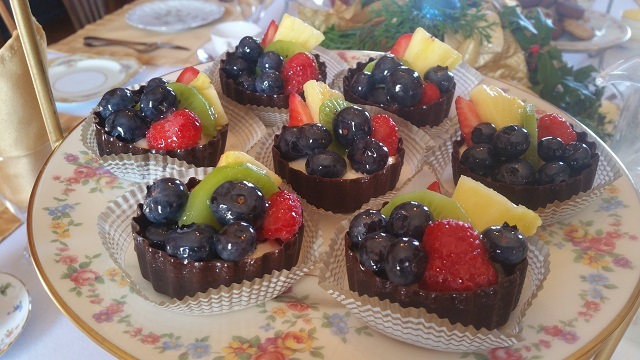 Our desserts were Glazed Fruit in a Chocolate Tartelette, Red Velvet Mini Cup Cakes with Cream Cheese Frosting and Sugar Plum Cheese Cake. 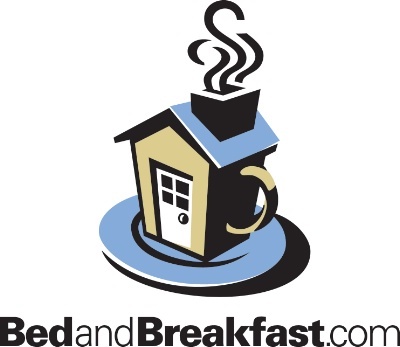 The choice of teas were Classic Earl Grey or Hot Apple Cider. 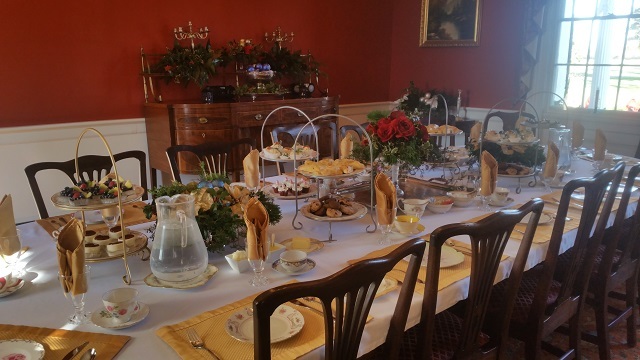 The tea was a smashing success and the table couldn’t have been prettier. 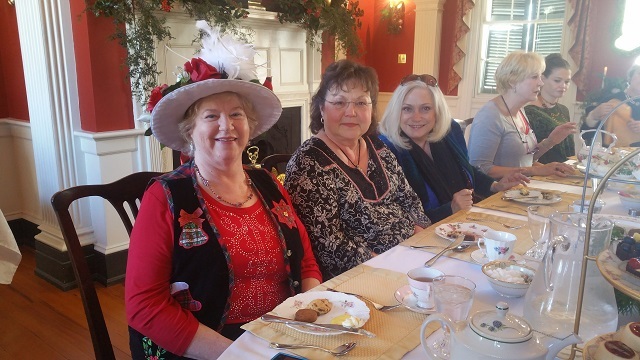 The ladies were merry and enjoy lively conversations followed by a tour of the mansion and decorations. So Christmas is off to a great start! Today we are doing December Christmas Tours from 1pm to 4pm. We will be doing them all the month of December from Thursday to Sunday. 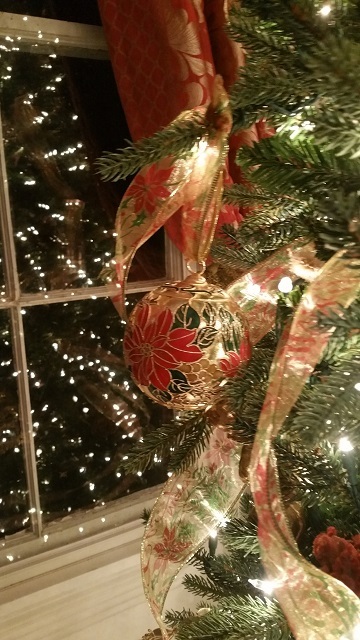 Our Candlelight Christmas Tour will be December 17th to December 20th from 7pm to 9pm. 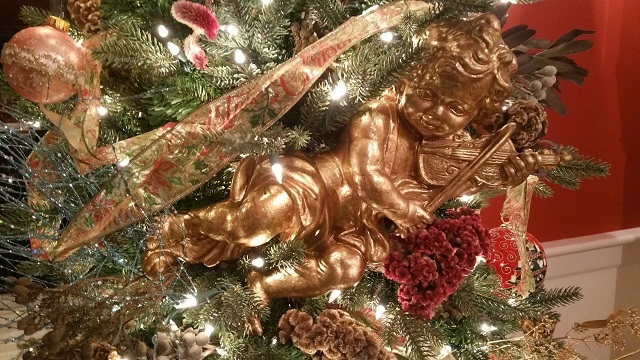 Cost for the December Christmas Tours is $15 per adult and Children 10 and under are free. We are sorry, but no discounts the month of December. 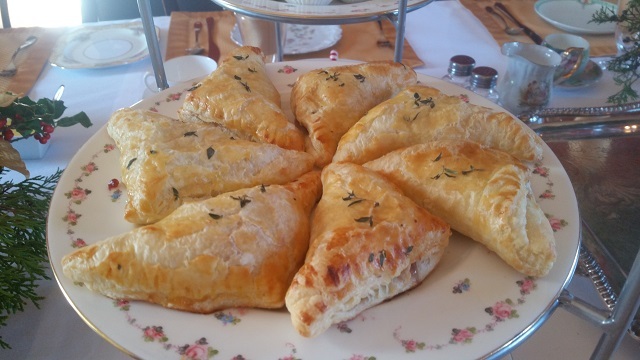 Please check our website for dates we will be closed due to private events in December. No reservations are required. No advance tickets. Just come and enjoy the tour. 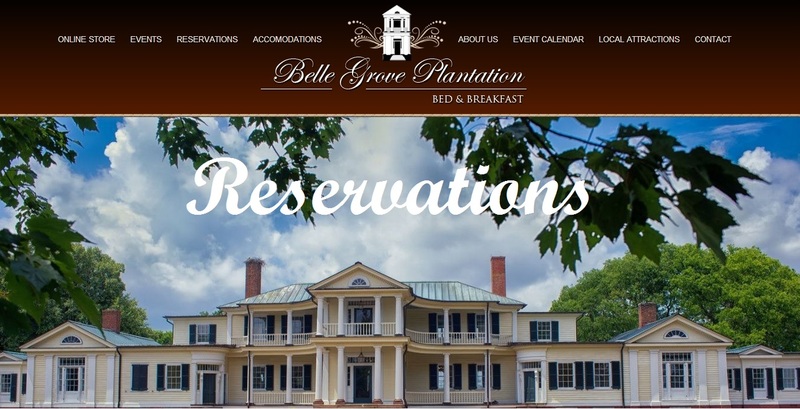 We invite you to join us as we celebrate one of the best seasons at Belle Grove Plantation.